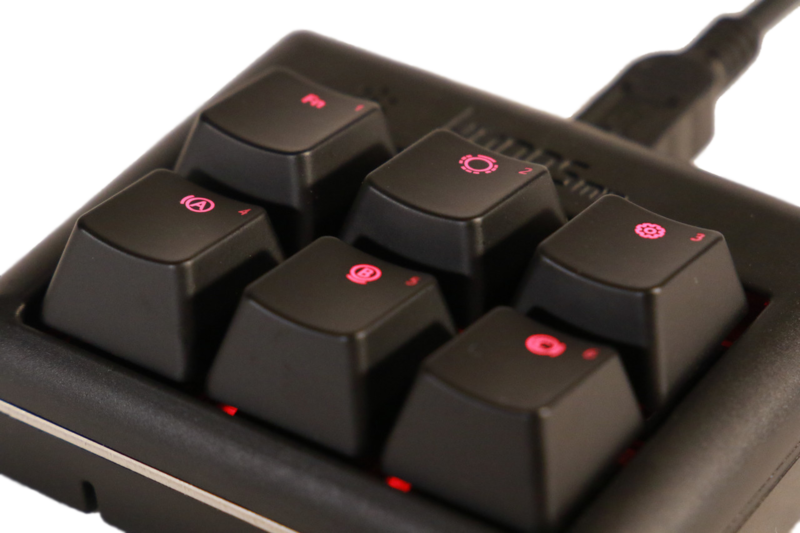 A simple yet powerful 6-key macro keyboard, made for you. Now available with free shipping to EU and USA. We'll be launching new products soon. If you want us to keep you in the loop, you can subscribe to our maillist. Want to see what else we've got? These CNC-milled keycaps are made from the wood of cherry trees. They’re compatible with Cherry switches and come in—surprise!— Cherry profile. Not only do these unique keycaps look and feel different, as they retain the natural grain of the wood, they also sound different—slightly muffled compared with plastic keycaps. We love to keep you involved. Would you like to receive mail when we release new products? If so, you could simple subscribe to our newsletter. © Copyright 2017 Alltrons IT, all rights reserved.